We often hear that you need to drink more water. But did you know if you drink more water, it may help you to lose weight? 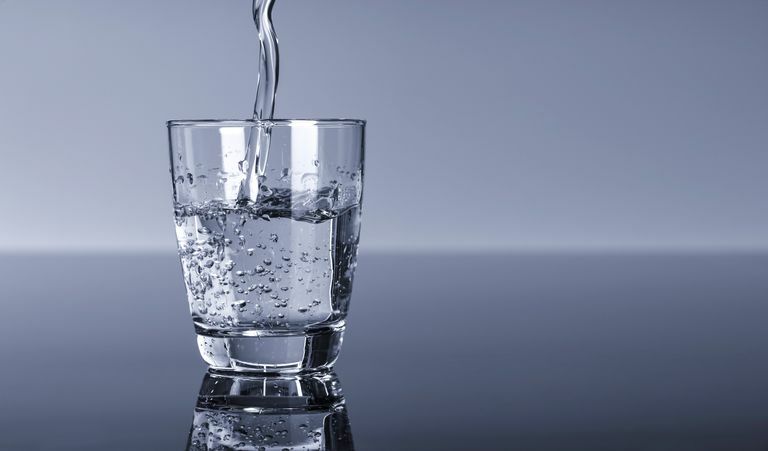 Learn more about why you need more water and some easy ways to get it so that you can stay on your diet and lose weight faster. Every cell in your body contains water. In fact, water is the most abundant component of your body. It performs many important functions. Water carries nutrients from the food you consume to the working cells, it carries waste products from your cells to your kidneys, and it acts as a lubricant for your joints. Water also helps regulate your body temperature through sweating. When you consider water’s many purposes, you begin to realize just how important it is to get enough. Despite water's many sources, most of us don't get enough. And if you exercise or work in a physically demanding job, you need even more water than the average person to replenish the fluid your body loses when you sweat. Dieters especially need water to help curb hunger and to fend off fatigue. So what happens when you don't drink enough water? You become dehydrated. Being dehydrated can affect you in many ways. Side effects of dehydration include headaches, poor concentration, and fatigue. Staying well-hydrated provides benefits, especially when you're trying to lose weight. Increased energy and stamina, improved digestion and decreased water weight are benefits that dieters enjoy. Staying hydrated may also help keep you from overeating. We often tend to reach for food when we're actually thirsty because we think we are hungry. You can get water from two sources: food and fluids. Most people know that the drinks they consume provide water, but we often forget that foods provide water too. Water-filled fruits and vegetables, such as melon or celery, help to increase your fluid intake. Many other fruits and vegetables are full of water and help to keep us hydrated. Here are some other ways to work more water into your day and stay fully hydrated. Alternate other beverages (like cola or coffee) with one glass of water. Ask for a glass of water alongside coffee, wine or tea at restaurants. Keep a refillable bottle of water at your desk. Drink a full glass of water before, during and after exercise. Switch to 12-ounce water glasses at home instead of 8-ounce glasses. Keep a bottle of water in your car especially when the weather is hot or humid. Also, remember that while all beverages contribute to your total fluid intake, some may actually dehydrate you. These include alcohol and caffeinated beverages like coffee and soft drinks. Waiting until you feel thirsty to drink something isn't the best way to prevent dehydration. Get in the habit of keeping a water bottle near your desk or in your car to stay hydrated. You can even make flavored water at home to drink enough and keep your weight loss plan on track.